Acer palmatum 'Osakazuki' is one of the most popular of all Japanese Maples grown notably for its outstanding autumn colour. It is a small, hardy, deciduous tree with an open habit, and is suitable both as a pot grown specimen or as a feature plant in the garden. The leaves are considerably larger compared to other Acer palmatum cultivars and are a mid-green colour. While this in itself isn't particularly striking, the long-lasting fiery scarlet autumn colour is. 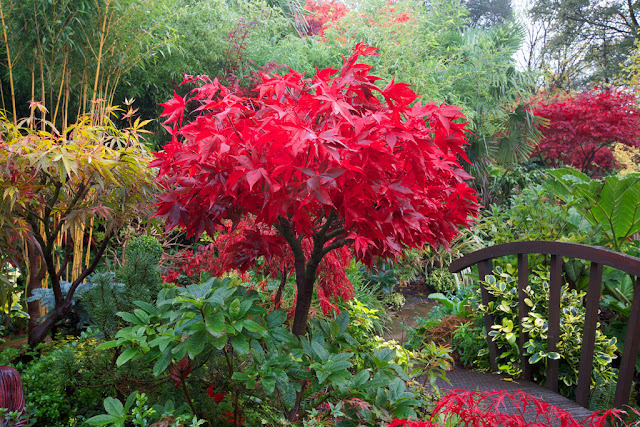 In fact it is arguably the most eye-catching of all Japanese maples at this time of year. Autumn colour can be improved by providing slightly acidic conditions. When growing as a container plant, use a good quality compost such as John Innes 'No 3'. A soil-based ericaceous compost would be best but this is rarely seen, so consider adding moss-peat to your compost mix to help increase acidity. Water regularly over the summer, but do not allow it to become waterlogged. More importantly perhaps is not to allow the compost to dry out as Acers are particularly sensitive to drought. This can cause leaf-drop and, in a worst-case scenario, death of the plant. Over the growing period consider watering with a liquid soluble ericaceous fertiliser one every few weeks. 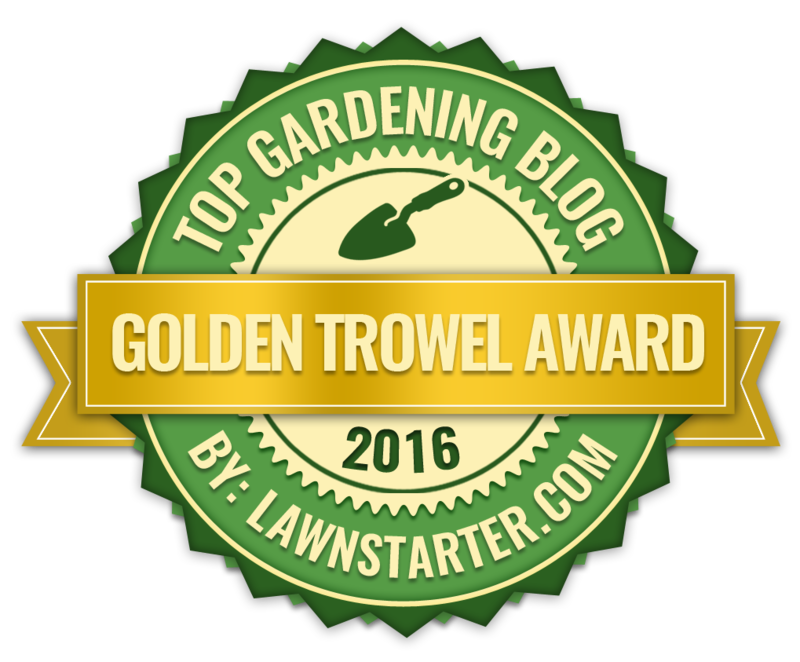 Do not over fertilize as this will produce overly vigorous growth that is prone to pests and pathogens. In regions that are prone to extended periods of freezing temperatures overwinter in a frost-free environment - if the pot is not too heavy to move! Replace the top inch or so of old compost with new compost each spring. 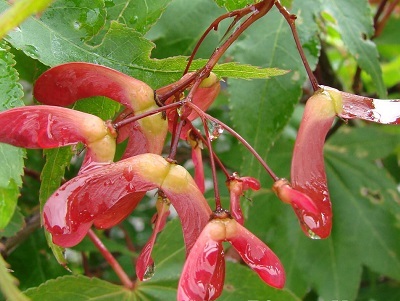 Acer palmatum 'Osakazuki' will be happy growing in well-drained, but moist garden soils. It will tolerate both clay and chalk soils but will perform best when conditions are either acid or neutral. It is suitable for positions of both full sun and semi-shade, but avoid exposed areas as the foliage can easily become wind scorched. Dig in a hole twice the size of the root ball, and dig in plenty of well-rotted organic matter before planting. If necessary provide a stake but avoid penetrating the root-ball when securing it into the ground. Newly planted specimens will benefit from a with a thick mulch of bark chips.